Your can connect your handheld PC to your home wireless network, but it can be tricky. For example, I have a Linksys PCMCIA card and a Linksys CF card, neither one of which will work with my IBM Workpad z50's. A good way to check for such problems before you make a purchase is the Handheld PC Hardware Compatibility List. They cover everything, not just Wi-Fi cards. Another good resource is this discussion at HPC:Factor. Surfing the 'net with a handheld PC is rather like watching a dog walk on its hind legs: It's not exactly elegant, but it's amazing it can be done at all. Gear your expectations accordingly. Plinkit is a good site for text-only surfing. HPC:Factor is the best site to learn more about Handheld PC's. Be sure to check out their forums. The HPC Software Repository is the best site to locate hard-to-find software for the handheld PC. Another good source is HPCNEC.com. The Microsoft Entertainment Pack 2.0 for Windows CE is out of print but can be found on Amazon.com. It has Freecell, Minesweeper, etc. A caveat: Try to get the 2.0 version, which is in color. If it doesn't specifically say "2.0" then many of the games will be in black-and-white instead of color. And finally for the curious there's the History of Microsoft Windows CE. The HP Jornada 720: A color touchscreen and a 76%-size keyboard. Similar models include the Jornada 620, 680, 680e, 690, and 728. In addition to eBay, you can find the Jornada 720 at Eagle Computer for around $120. And if you want a more worry-free deal at a slightly higher price, then UsedHandhelds.com is the way to go. The NEC Mobilepro 900: A 92%-size keyboard makes it larger and easier to type on than the Jornada 720. There is also a Mobilepro 900C; make sure you understand the differences to ensure you get the best model for you. Similar models include the Mobilepro 700, 770, 780, and 790, all of which are available on eBay. 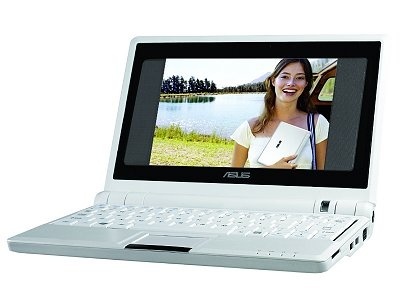 UPDATE 9/7/2008: With all the new small-form netbooks now being introduced, these older models have come way down in price. On Usedhandhelds.com the Mobilepro 900 has dropped from $399 to $199. These aren't the only three devices you'll find on eBay, but are the most common among the Handheld PC's with a 640 x 480 pixel screen. 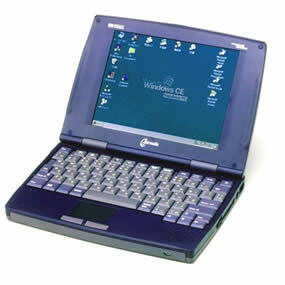 The HP Jornada 820: Has a touchpad and a USB port (cutting-edge for 1999!) for a separate mouse or trackball. The most readily-available of the three on eBay. The IBM Workpad z50: Lots of nice little touches. No touchpad or USB port, but does have one of those IBM Trackpoint thingees in the middle of the keyboard. The NEC 800 and NEC 880: Whereas the Jornada and the Workpad are smaller than a regular laptop, these NEC models are closer to laptop size with a 9.4-inch display. Harder to find on eBay. I miss an entire class of products: mini-laptop-size Windows CE handheld PCs, the lovechild of a PDA and an ultraportable laptop. Many top computer makers--including HP, Compaq, HP, HP, and NEC--offered them, and they had some great features: They turned on and off instantly; their batteries often lasted for up to 10 hours on a charge; and they had no moving parts, so you didn't have to worry about a hard-drive crashes and related maladies. Despite weighing (on average) less than 3 pounds, they had nearly full-size keyboards. 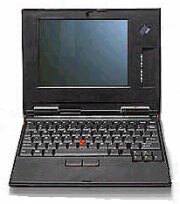 IBM's WorkPad z50 was my particular favorite in this category--a PDA version of a miniature ThinkPad laptop. But at the time that handheld PCs were available--in the late 1990s and early 2000s--they were expensive (often around $1000). Eventually, regular laptops got smaller and more affordable, PDAs morphed into smart phones, and the PDA laptop faded away. To a degree, Samsung, Sony, and others have tried to re-enter this territory with Ultra Mobile PCs that cost $1000 and up. But I'd rather jump onto eBay and pick up a vintage Win CE handheld for $200 or less. I just bought two of the IBM Workpad z50's on eBay (my first eBay purchases ever) for around $100 each. Very nice.